Matt Huser is the Chief Marketing Officer of Filtration Group Corporation. Mr. Huser brings twenty years of agency experience driving both business to business and business to consumer customer-focused marketing initiatives to Filtration Group. As Chief Marketing Officer, he is the primary customer advocate and is responsible for ensuring that all messaging and marketing programs resonate with customers. Mr. Huser has made career stops in Los Angeles, Atlanta, New York and Austin with such leading agencies such as Dentsu, SapientNitro and BBDO. 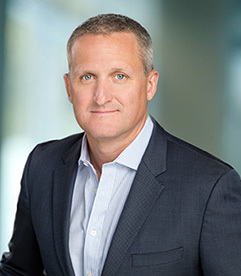 Mr. Huser most recently served as Managing Director of nFusion, a marketing services agency in Austin, Texas, where he served clients such as Samsung, Dell and Google. Mr. Huser has led integrated content marketing programs and digital transformation initiatives for companies including Procter and Gamble, General Electric, Coca-Cola and NASCAR to name a few. Mr. Huser graduated from Xavier University with a BA in Advertising and a minor in business administration. He has served on the boards of the Business Marketing Association and the Boys and Girls Clubs.